The i4 group is comprised of three key entities covering all of the recruitment needs of SMEs and corporate clients: i4 Recruitment, i4 Resourcing and i4 Jobs. As a group we have been providing our clients with high performing resourcing solutions since 2003. We started life as a recruitment agency with a vision to provide high quality IT & Engineering staff to leading organisations in Norfolk. After gaining an excellent reputation in the area, demand soon increased and we expanded to cover other neighbouring counties. Within 3 years, i4 Recruitment had developed into a brand operating across the whole of England, Wales & Scotland. The same service qualities our clients relied on were soon applied to other skill sets including: Accountancy & Finance, Operations, Project Management, Sales, Marketing & Executive Hires. During this period of sustained development, we also identified a need for a low cost, high value resourcing solution and i4 Jobs was born. 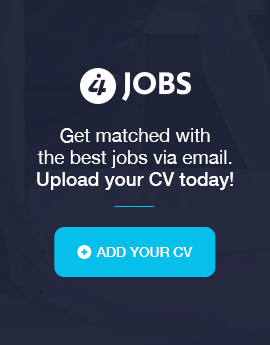 I4jobs enables employers to maximise the exposure of any job vacancy across a huge network of over 500 leading online job boards, through one single point of contact, and for one low fixed fee. The i4jobs service provides time and cost efficiencies to busy employers, with a proven success rate in attracting quality candidates in a short space of time, and filling vacancies fast. We were one of the first companies to bring a fixed fee recruitment solution to market and i4 jobs continues to supply a range of companies with diverse requirements spanning all industries UK wide.